Hello WH Lithuania – Thanks for the review. Good input WH Lithuania. As mentioned the bar length you use is short. Interesting list of changes. Sounds like you need Ozone to make a closed cell Frenzy UL. Kite-expert, thanks for having shared your detailed thoughs. There was ,some long years ago, a kite that was designed by the skilled Tom Bourdeau (Designer of the frenzy as far as I remember) and that had a very close design to Frenzy, but with closed cell : The Neo from HQ. I bought this neo in 14m as my first depower foilkite . Apparently nice memories with perhaps not so nice kite. I did test some Neos when they appeared. Description "slow but clumsy" was quite true for them. I guess kind of antithesis of Pulsion (though approximately same mid AR), because they had really thick and heavy materials. 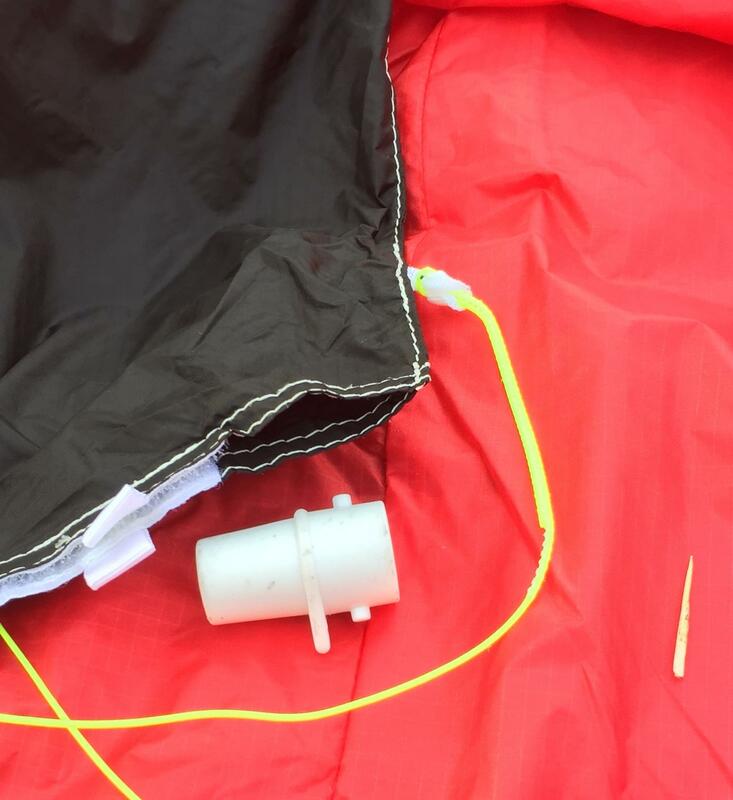 Light weight of kite has many advantages. It is very difficult to go further than what is achieved with Pulsion when it comes to weight. In that sense it is very advanced kite. Ozone's strenght for long time has been their ability to develop their concepts very far. Snow kites Access and Frenzy are not very exciting kites, but in their class they are very good kites if not the best. Also their LEI's are very refined kites. It is hard to go wrong with a good mid AR foil kite. Apparently Hyperlink, Pulsion and Kitech FreeRS are all very good kites. To know how they differ from each other forum like this helps, it has helped me. Only kite I know personally in that category is Matrrixx3, but I don't know how it compares to those kites. It is light weight kite anyway. After my third HL-12 session on 20m lines in gusty 7-16 knots I have mixed impressions. Kite is fast and produce enough power peak to start foiling with the downloop, but later on power delivery is limited (Spitfire demand for power is a bit more than Carver, but I think HL profile is not cambered enough and manipulating the mixer may help. Unfortunately, it is not so easy as on Pulsion). In the luls kite didnt show drift behaviur, but tended to go down in spiral. I suspect that reducing the weight of to long and to many zips in each air inlet would help to reduce leadin edge weight. On the other hand relounch is very easy from most complicated tangles, as the kite keeps air inside very long. Drain is fastest of my foil kites so water lounch is also very easy. Kite fills with air in seconds going to zenith. Amazig is direct power reduction when you let go of the bar. With Pulsion18 I use full depower ability of race bar, here you need half, so no need for a race bar, if strong gusts are rare. Boosting is what I like the most. Short bar travel and kite quickness helps a lot. Next time I will try 18m lines on 50 cm bar. 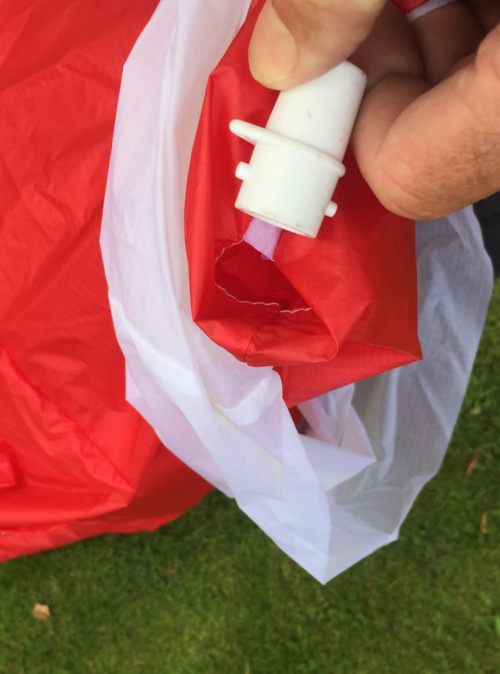 Interesting thanks; In your opinion, What explains that the drain is better than other kites ? Is it possible that you take a zoom picture of this drainage system ? Regis , to give you an idea , Drainage openings at the tips of the V2 is 1.5 cm while it is 3 cm on the hyperlink . Its a matter of bigger drain holes as well as bigger channel inside. Water is moving fast to drain hole. You can see bigger stream of water running down from the kite. Also the kite starts up early, with quite significant amount of water inside. It looks like hyperlink trailing edge is not a sandbag anymore?